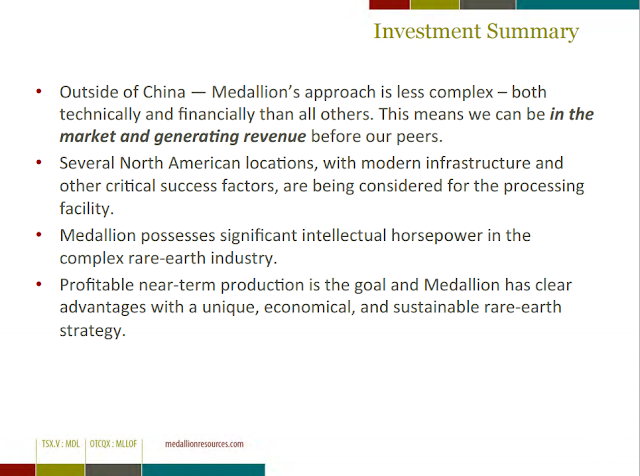 Vancouver, BC – Medallion Resources Ltd. (TSX-V: MDL; OTC: MLLOF – “Medallion” or the “Company”), today announced that it has appointed GHC Minerals Ptd. Ltd. (“GHC”) of Perth, Australia to source monazite sand concentrates from suppliers in South-East Asia. GHC is now actively working on the logistical and contractual issues required for the delivery of large sample lots and later commercial-scale shipments from regional mineral-sands suppliers. Monazite is a rare-earth phosphate mineral available as a by-product of heavy-mineral-sands mining operations. 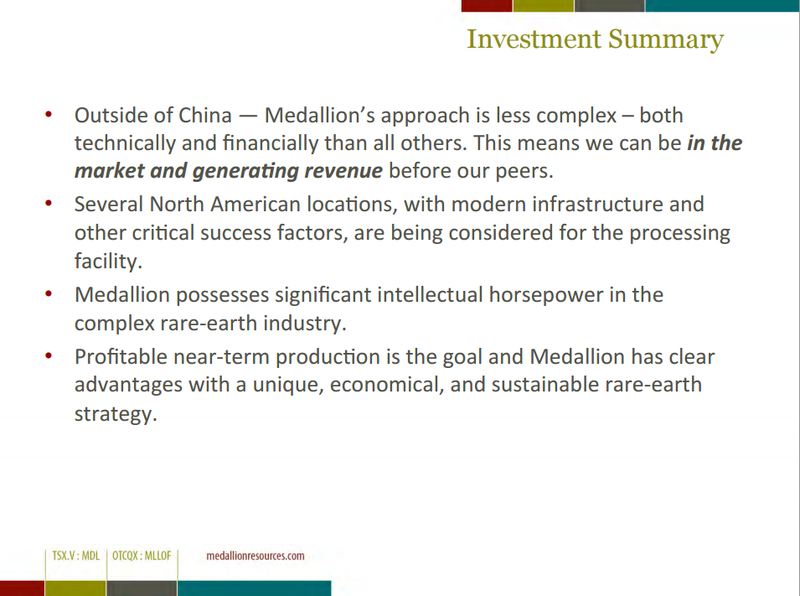 Medallion intends to construct and operate a North American-based monazite processing facility, by importing and processing available monazite feedstock ores, to extract and market high-quality, mixed rare-earth chemical concentrates. The five-year agreement with GHC provides for certain exclusivity rights to both GHC and Medallion. GHC’s compensation is based on the purchase by Medallion of contracted and accepted monazite supplies of consistent purity, quality and consistency for delivery to Medallion’s proposed North American plant..
I’ve frequently noted that Hindenburg “Omens” in their commonly presented form (NYSE new highs and new lows both greater than 2.5% of issues traded) appear so frequently that they have very little practical use, especially when they occur as single instances. While a large number of simultaneous new highs and new lows is indicative of some amount of internal dispersion across individual stocks, this situation often occurs in markets that have been somewhat range-bound..
Shares of Barrick Gold Corporation (NYSE:ABX)(TSX:ABX) slid further after hours after falling nearly 4% in regular trading on Wednesday after the gold miner, the world's largest in terms of output, cut its dividend by 60% despite reporting a narrower second quarter loss. 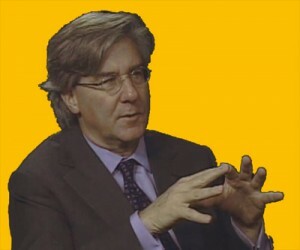 Barrick's market value is down 50% over the last three months and is now worth some $8 billion in New York. 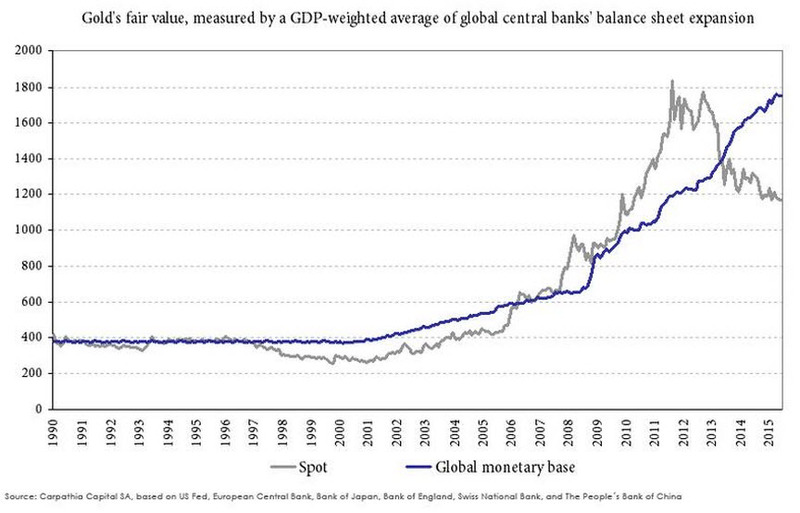 That compares to a $64 billion capitalization when gold was at $1,900 in 2011. Barrick cuts its gold production forecast to between 6.1m – 6.4m ounces as it disposes of assets including 50% of its Zaldivar copper mine in Chile for $1 billion, the Cowal mine in Australia for $550 million in cash and $298 million for its Porgera mine to tackle its crippling debt-load of more than $13 billion. The company announced additional disposals on Wednesday announcing that in the next few weeks, it will start a process to sell its Bald Mountain, Round Mountain, Spring Valley, Ruby Hill, Hilltop and Golden Sunlight assets in Nevada and Montana. 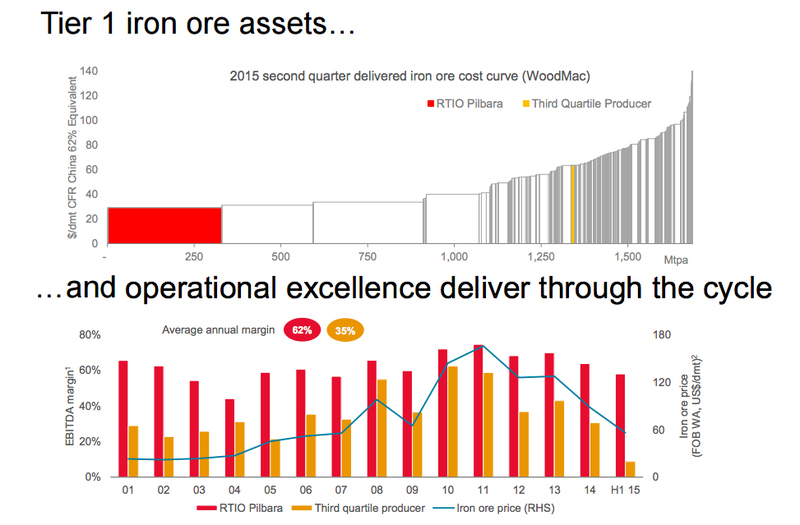 Other notable features of the quarter and outlook include further cost and capex cuts, but the $250 million debt reduction is some way off Mr Thornton's target of $3 billion in 2015. Company reported a net loss of $9 million ($0.01 per share) in the second quarter; adjusted net earnings were $60 million($0.05 per share). Free cash flow was $26 million and operating cash flow was $525 million. Production in the second quarter was 1.45 million ounces of gold at all-in sustaining costs (AISC) of $895 per ounce. 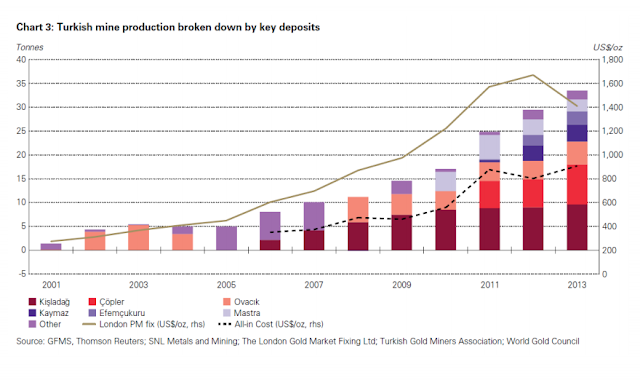 Full-year gold production is now expected to be 6.1-6.4 million ounces, reflecting the impact of asset sales. All-in sustaining cost guidance for 2015 has been reduced to $840-$880 per ounce. Total debt reduced by approximately $250 million in first half. $2.45 billion in asset sales and joint ventures announced to date. Targeting $2 billion in reduced expenditures across the company by the end of 2016. Capital and other expenditures reduced by $240 million in the second quarter. Lowered quarterly dividend to two cents per share. 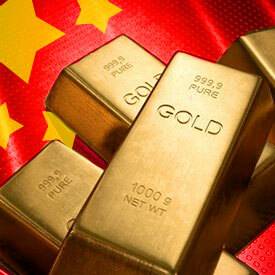 Scenario planning completed for gold prices down to $900 per ounce. On track to achieve approximately $50 million in G&A cost savings in 2015, exceeding original $30 million target for the year. Targeting $90 million in annualized savings in 2016, up from original target of $70 million. Completed Preliminary Economic Assessments on projects with the potential to significantly extend mine life at Lagunas Norte and Pueblo Viejo. 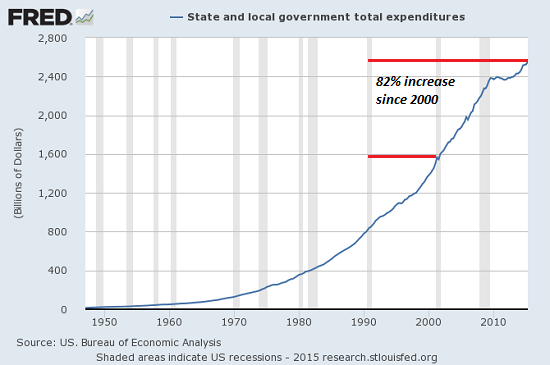 Here Comes The Next Crisis "Nobody Saw Coming"
When borrowing become prohibitive (or impossible) and raising taxes no longer generates more revenues, state and local governments will have to cut expenditures. 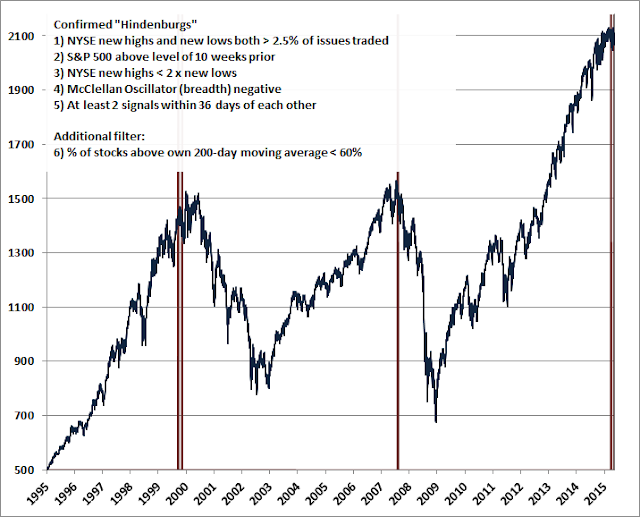 Strangely enough, every easily foreseeable financial crisis is presented in the mainstream media as one that "nobody saw coming." 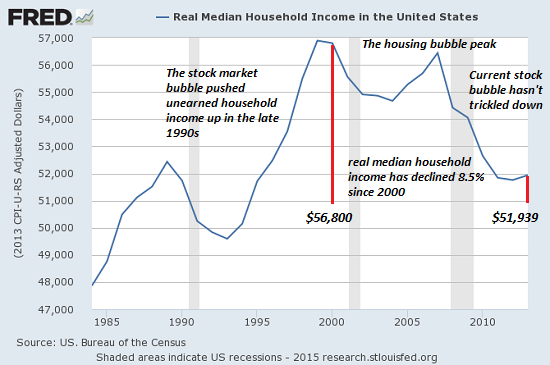 No doubt the crisis visible in these three charts will also fall into the "nobody saw it coming" category. 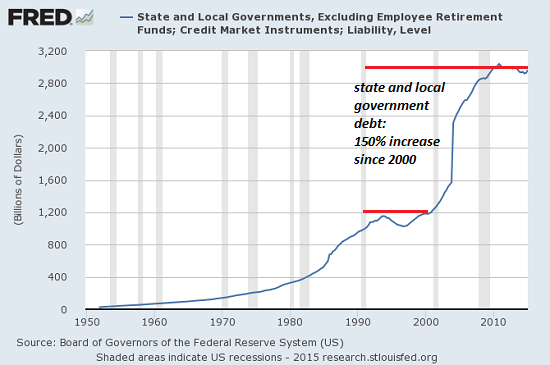 Take a look at this chart of state and local government debt. As we noted yesterday, nominal GDP rose about 77% since 2000. 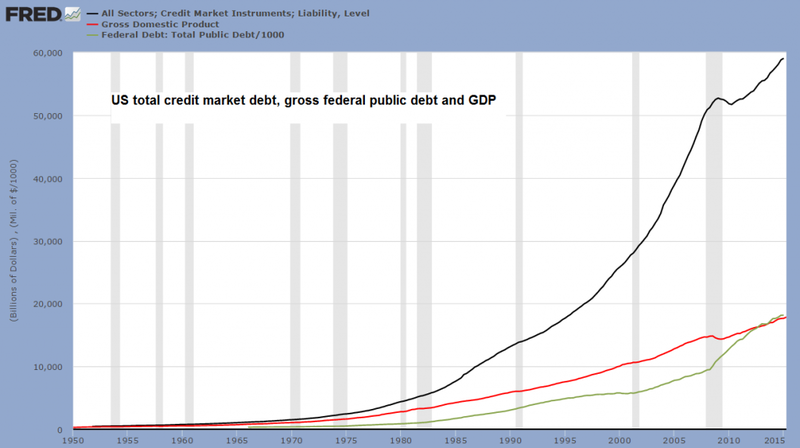 So state and local debt rose at double the rate of GDP. 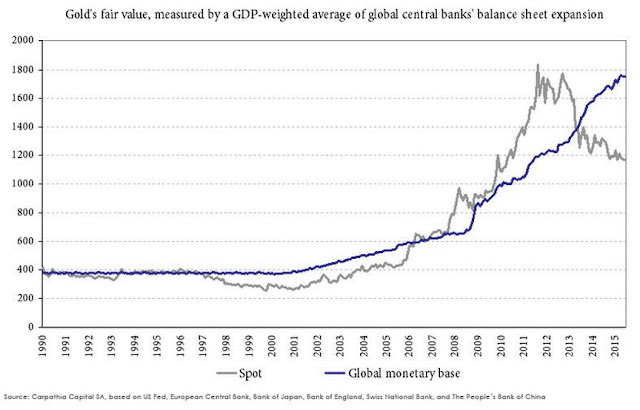 That is the definition of an unsustainable trend.. Poverty is better than wealth in one crucial way: The poor are still under the illusion that money can make them happy. People with money already know better. But they are reluctant to say anything for fear that the admiration they get for being wealthy would turn to contempt. We bring this up because it is at the heart of government’s scam – the notion that it can make poor people happier. In the simplest form, government says to the masses: Hey, we’ll take away the rich guys’ money and give it to you. This has two major benefits (from an electoral point of view). First, and most obvious, it offers money for votes. Second, it offers something more important: status. Chinese officials aim to ultimately to challenge the America’s standing as the world’s superpower. That’s why they’re forming a strategic alliance with Russia, an adversary of the U.S. That’s why both the Russian and Chinese central banks have quietly emerged as the world’s largest gold buyers..
A stronger U.S. dollar and China’s cooling economy are adding to pressure on raw materials. Two of the index’s top three weightings -- gold and crude oil -- are in bear markets. The gauge itself has bounced off 13-year lows for the past month. 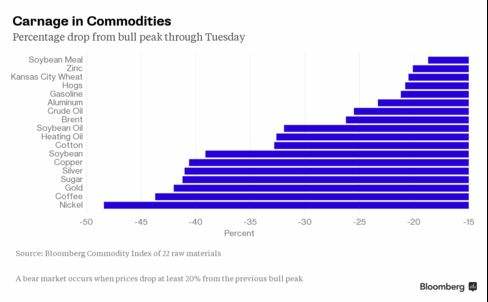 Four commodities -- corn, natural gas, wheat and cattle -- have managed to stay out of bear markets, due to bad weather and supply issues. Hedge funds are growing more pessimistic as the year has gone on. Money managers have slashed bets on higher commodity prices by half this year, anticipating lower oil and gold prices..
Rick Rule's angepriesener "Capitulation moment" ist jetzt auf jeden Fall da. Im Juli 2015 gab es bspw. die heftigste Kapitulationsphase bei den Goldminen seit Herbst 2008. Einen historischen Sell-Off gab es ebenfalls bei Kupfer- und Silberminen, sowie im Junior Mining Sektor generell. Is this what a market turn feels like? Despite a down market, our Natural Resource Symposium garnered big numbers. Around 800 people showed, including attendees, exhibitors, and speakers. The audience was far from gloomy too. In previous years, and at other conferences, attendees have lamented a poor sector. Not here. From speakers and attendees alike, we saw optimism for natural resources. Some were on the sidelines, waiting for more bottoming for their chance to get in. Others were heavily invested already. Where are gold and other natural resources headed now? Speakers were divided. 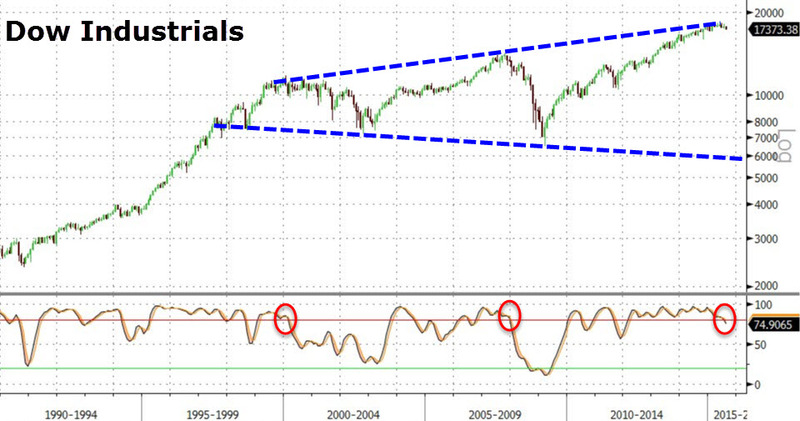 Some believed that a bottom was in, or at least that the sector was cheap enough today. Sprott US Chairman Rick Rule hasn’t given up on natural resources. “A recovery is inevitable,” he said. Rick revealed that he was still holding “lots of cash” to prepare for future buying opportunities during a major dip. Agora founder and self-proclaimed “rogue economist” Bill Bonner advocated for owning gold regardless of the price. We’ve been living in a “zombie boom” for the last 40 years, he told the audience. 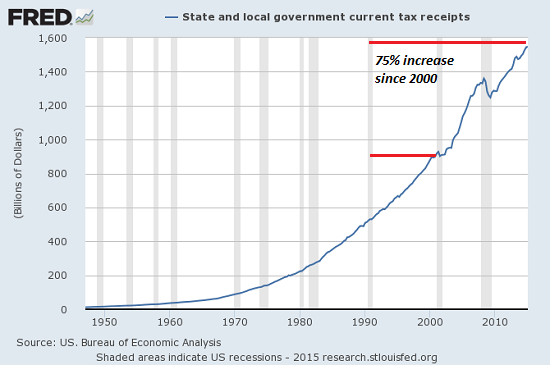 During that time, the “takers” and cronies have gained increasing control over the US economy. The economy has managed to grow anyway, sparing regular folks too much pain, thanks to the bull market in bonds that has occurred over the same timeframe. But this can’t last forever. As he wrote in Financial Reckoning Day and Empire of Debt, a collapse will occur eventually. “You’ll want to own gold as insurance for your portfolio,” he says. Steve Sjuggerud of Stansberry’s True Wealth has a more upbeat take on the zombie boom: It will go on for a few more years, so you can still make money in stocks and real-estate. After he sees an uptrend in resource stocks, Steve will be ready to make a big play in the sector. 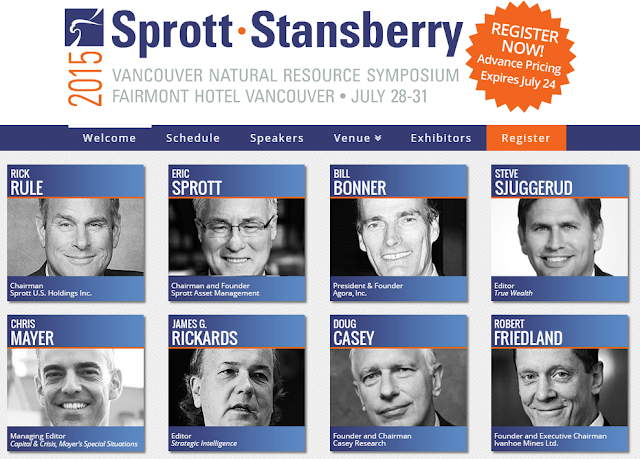 Eric Sprott was one of the most-awaited speakers at the conference. Contrary to other speakers waiting for signs of a turnaround, he isn’t holding back. He told the audience that he’d personally taken ownership of a gold mine, along with other big investments in the sector. Other big-name speakers included Robert Friedland, Chairman of Ivanhoe Mines. He told the audience they’d be crazy to miss this opportunity. Copper, zinc, platinum, palladium – these metals are priced for the “end of the world,” as he put it, saying China in particular will be a big consumer of these metals. You need copper for electrical grids, platinum and palladium to purify motor exhaust, and zinc as a crop fertilizer. These are all areas where China may have a need for the metals. “The mining sector cuts are not just skin deep, they are to the bone,” he said. Miners can’t afford to produce if metals prices go any lower, so if they drop from here, it means the world doesn’t want a supply of these metals, according to Robert. Even Doug Casey said he was getting heavily into resource stocks now – despite his speech title, Mining Is a Dying, Stupid […] Business. Did the speakers give any specifics about where they’re looking? Dan Ferris of Stansberry’s Extreme Value gave his “top pick of the year,” Altius Minerals, a royalty company. 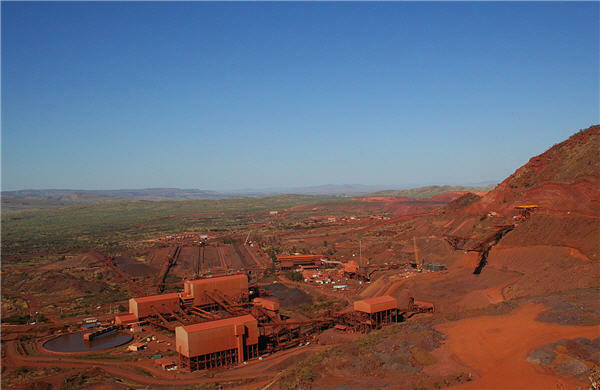 The company gets a small cut of many different mining operations’ revenues. Frank Trotter, co-founder of EverBank told attendees to take a look at “metals-backed CDs.” According to Frank, these can increase in value with metals prices, but contain minimal downside risk. Of course, the conference also featured over 50 resource companies. As Rick explained, he expects at least some of the companies that were at the Symposium to become high-performers in the next up-move. Some of the most well-followed names were Kaminak Gold, presented by Eira Thomas, Uranium Energy with Amir Adnani, and Sprott Resource Corp, represented by Steve Yuzpe. Miles Thompson presented Reservoir Minerals and William Lamb presented the Lundin Group. Dev Randhawa was also there, representing Fission Uranium and Randy Smallwood presented for Silver Wheaton. David Harquail told attendees to consider Franco-Nevada, the world’s largest royalty company, as an alternative to a gold ETF. Franco-Nevada offers diversification because it has so many separate royalty contracts, he argued. The resource sector is cheap right now, but it could offer great rewards to investors who are willing to participate. As Rick Rule put it, the companies in the sector face a bad reputation. But investors forget that some hard-working, ethical, and talented people are doing “real work.” And the price of participating in their projects, as investors, has often dropped dramatically. Didn’t make it to the Symposium? All keynote speeches, except Robert Friedland’s Q&A, are available for replay online, along with select workshops. Click here to order.